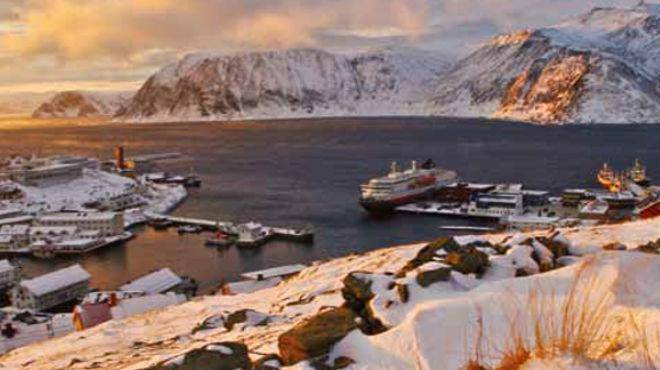 Experience ‘The Arctic Awakening’ and three seasons, all in one journey. There are extreme contrasts between southern and northern Norway at this time of the year. Summer is the most popular time of year to explore Norway’s coast. Thanks to the light during the summer months, the country bursts into life. As summer turns to autumn, you can watch the coastline change colours from one season to another. Along the Norwegian shores, the clear air strengthens the reds and yellows that fill the mountainsides, hilltops and woods. Winter is perhaps the most special time to explore wild and untamed Norway. The landscape is covered in virgin snow and the air is fresh, pure and crisp.